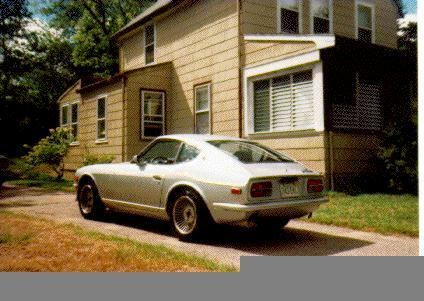 Rear view of a silver turbo Z. This car has the following modifications. konis,lowering springs,front and rear sway bars, Rajay turbo, Racer Brown cams, 2.5" exhaust, water injection, oil cooler, electric cooling fan, motorsport air dam, basecoat- clearcoat paint, P215-65R390 TRXs on alloy rims. 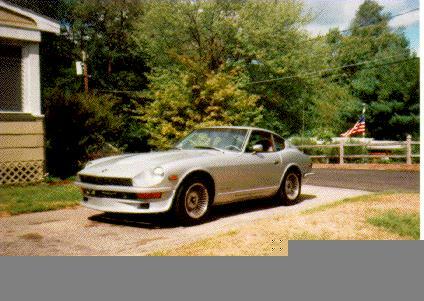 The car has only 70,000 original miles. 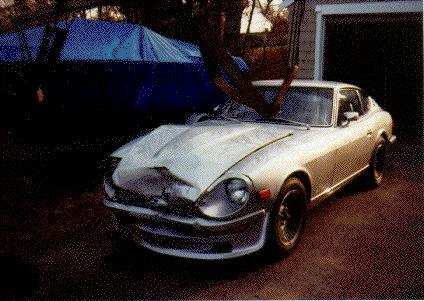 Same Z after a prang. 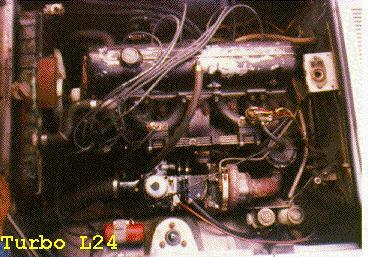 The engine bay of the same turbo Z. 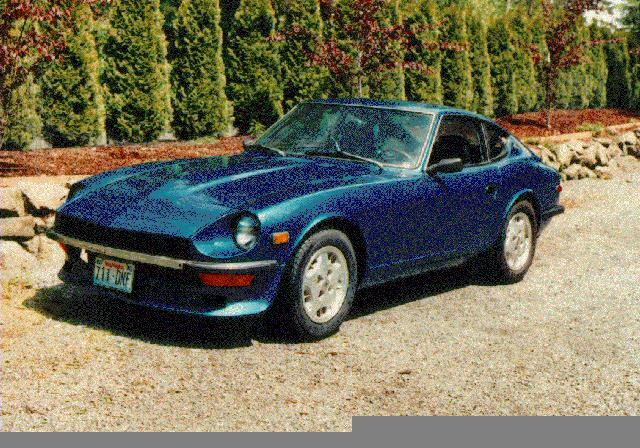 A stunning looking metallic blue Z.